Experience victory in the battle against temptation! Everyone struggles with sinful desires and selfish motives. So how do you fight against those temptations—permitted by God and promoted by Satan—when your soul feels like a battlefield? 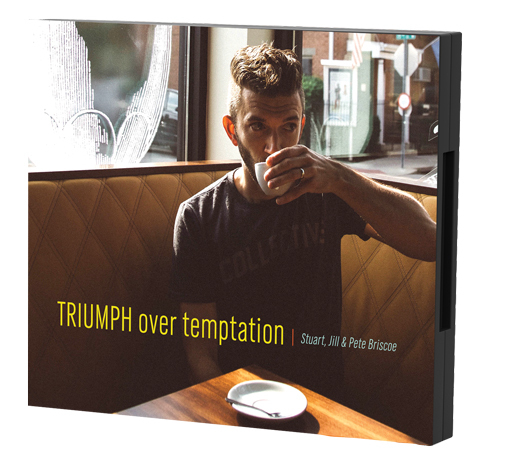 We want to help you experience victory in the battle against temptation by sending you the 4-message teaching series, Triumph Over Temptation, by Stuart, Jill, and Pete Briscoe. This series will equip you with Life-changing biblical truth, so you can turn the next opportunity to do wrong into a powerful opportunity to do right! Triumph Over Temptation is our way of thanking you for your financial support of Telling the Truth.